The latest hazard of the technological age, is how it damages the brain. This especially in the young, where it has a detrimental effect, because of excess exposure to “blue” digital screens. What it does is throws off ones body clock, which creates stress while disrupting brain chemistry. What’s known for certain, is that this constant exposure, can do is cause damage to the brain’s frontal lobe. What the constant flickering screen does is creates havoc, confusion, headaches, and develops poor eyesight. Since the neck is also in a constant forward prone position, it’s damaging to the spine and back muscles. So what’s recommended is taking routine electronic “fasts.” To find time to get away from this addiction, that’s everything digital. Doing so will instantly reset and synchronize the nervous system, which improves sleep, mood, focus and behavior. What the body needs more of, is the green space that nature provides, this to improve mental health while increasing ones capacity to learn, this immediately and in the future. What nature is capable of, is lowering stress levels while restoring focus. What “greenery” does is calms the eye and nervous system simultaneously, which creates a state of mindfulness, and better learning. What exposure to sunlight does, is reduces attention deficit symptoms, this especially in the morning. What the bright natural light does is restores disrupted circadian cycles, which encourages restorative sleep. What too much screen time does, is breaks down connectivity in the brain. What any type of exercise does, is the complete opposite. Exercise is known to combat depression, improve focus, reduce insomnia, addiction, and anxiety. What constant body movement does is balances the brain chemicals, which becomes altered by using electronics. What regular routine fitness also does is improves core muscle strength, discharges bottled energy, stimulates the vestibular system, which in turn regulates mood. 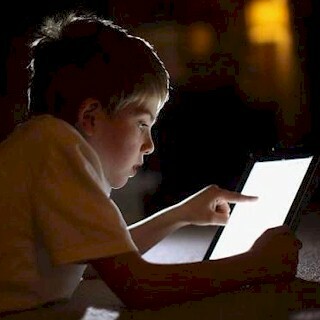 What’s known is that too much screen time, this especially during the evenings does is disrupts sleep. What’s altered is the quality of REM sleep, which lowers the body’s core temperature. What deep restorative sleep does, is helps the brain reset and re-energize itself. What’s recommended is removing anything that’s digital from the bedroom, while keeping the room as cool and dark as possible while sleeping. Going to bed should be at the same time every night, which signals to the brain and body that it’s time to sleep, which results in better rest and improved brain functioning. What doing creative activities does is stimulates the “right” cortex, which often becomes inactive, this because of information overload from technology. What the creative process does, is promotes better brain and body integration. What an active imagination results in, is improved problem solving skills. What too much screen time does is blunts memory. The brain constantly being fed streams of online stimuli, does is saturates the senses, which neutralizes creativity only the real world can provide. What being mindful includes are activities such as meditation, yoga, and deep breathing. The benefits of engaging in any of these practices can’t be overstated. Once children begin practicing mindful activities, what’s known is they’re calmer, less frustrated, and better adjusted. The reason being, these activities quiets the brain, reduces stress, improves blood flow, and balances the hormones. What meditation does is increases the thickness of the cortex, while excess exposure to digital screens has is a polar effect. Children suffering from attention deficit disorders, and are taught mindfulness techniques shows improvement in their executive functioning. What’s known is that hugging children, does is develops larger more developed brains, this especially when needed. What direct eye contact does, is fosters better bonding, while helping improve brain functioning. What human bonding and contact does is stimulates emotional arousal, develops better sense of self, while improving the capacity for deeper intimacy. What having healthy human attachments does is avoids addictions, such as “tech” addiction. What’s known is that having a set routine, such as limiting ones screen time at night to one hour, while having mandatory “chores” that needs to be completed on a daily basis, does is improves mental clarity. What establishing a daily routine has shown, is that it boosts productivity and purpose, while decreasing the risks of cardiovascular diseases, that’s caused by chronic stress. What too much artificial “light” at night, which includes illuminated rooms or too much screen time, does is confuses the body’s biological clock, which disrupts the regulation of hormones and brain chemistry. What it causes is moodiness and obesity, while altering logical brain functioning during the day. So avoid electronic lighting, or flickering digital screens after sundown, while getting as much natural sunlight during the day as possible. What the latest energy efficient LED bulbs does, is emits poor light quality, which increases stress and headaches, while worsening eyesight. What’s recommended is using the traditional incandescent lighting, which creates a more natural light environment. For LED TV’s, choose the “natural” screen settings which reduces brightness, which matches the surrounding environment better. For most digital devices, there are apps which will auto adjust itself to the environment. What doing so does, is blocks out most of the “blue light” they emit, which suppresses natural melatonin. What’s recommended is going “wired,” instead of using WiFi. What most aren’t aware of, is that WiFi emits electromagnetic signals which suppresses melatonin, this similar to what excess screen light exposure does. What using wired Internet also does, is instinctively reduces device usage, while increasing productivity. So at the very least, choose to turn off the WiFi at night.